Vegan Eats and Treats! 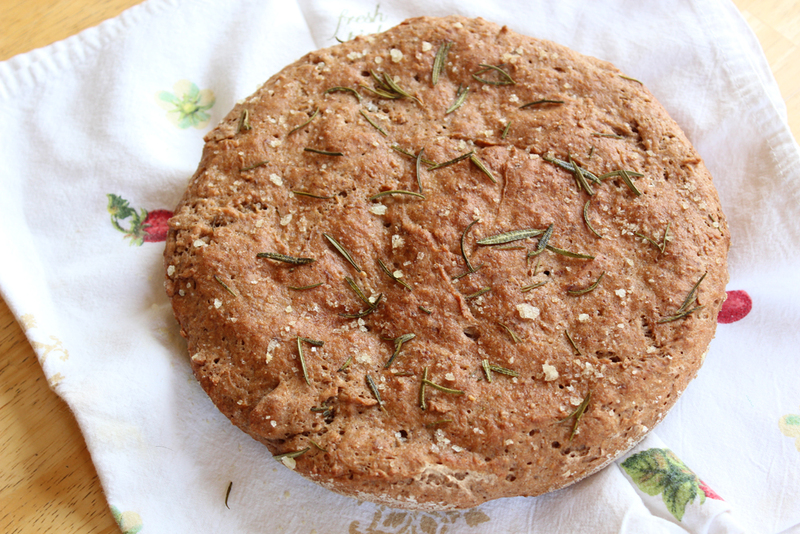 : Gluten Free Focaccia! Recently we went over to dinner at our friends B and D's house. Miss B is gluten-free, but not by choice. Back in the day, D was a bread maker at a local restaurant, and so they were used to eating delicious home-baked bread all the time. When B had to stop eating all gluten, it was really a bummer for both of them. So, I especially love to experiment with gluten-free baking projects for them, since I know they missed their baked delights. Julie and Kittee both told me about this gluten-free focaccia bread that they highly recommended, and right away I knew I would be making this for B and D. Guess what? It turned out fantastic! Of the four of us at the table, only B is gluten-free, but not one of us hesitated to keep munching on this delicious bread. I loved the nutty flavor of the teff flour, which I pretty much never use. Also, I topped mine with olive oil, fresh rosemary from our garden, and some special sea salt that's extra chunky and flaky - perfect for focaccia. I did use Julie's tip of baking the loaf a little longer than the original recipe calls for, and I'm glad I did. This focaccia came out totally great, and pretty much made me want to make a loaf of gf focaccia for every gf person I know and love. I can't wait to make it again! 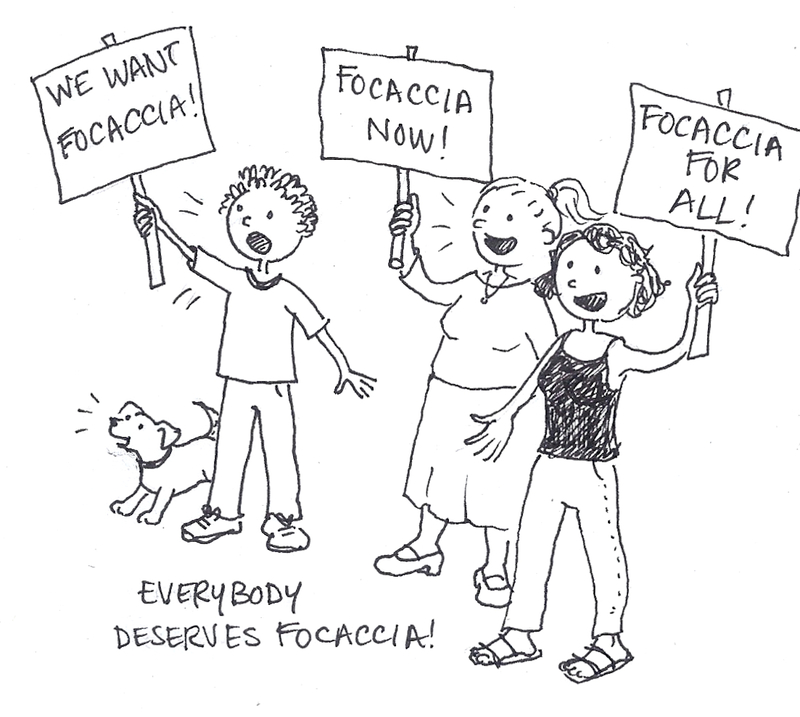 Everyone wants focaccia - even the gluten-free peoples of the world! And now, they can have it!! I thought this funny picture of Dottie squeezed into Snoopy's mini-bed went well with the focaccia picture. We had guests over, and they had the NERVE to sit on Dottie's spot on the sofa. 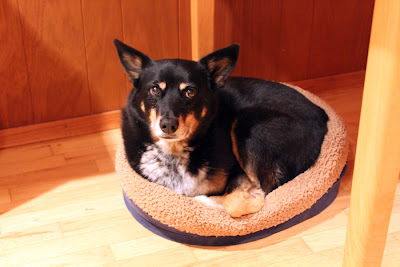 She just didn't know what to do with herself, until she spotted Snoopy's tiny bed under the dining room table. Such a little goof. How RUDE of your guests to sit on the couch! ;) But seriously, what an adorable picture of Dottie. I love the exasperated/annoyed expression on her face. You are such a thoughtful friend to make this focaccia with your gf friend in mind. 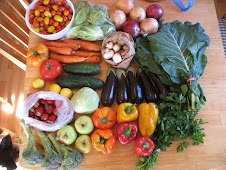 It sounds wonderful, and I love the additions of rosemary and crunchy salt! 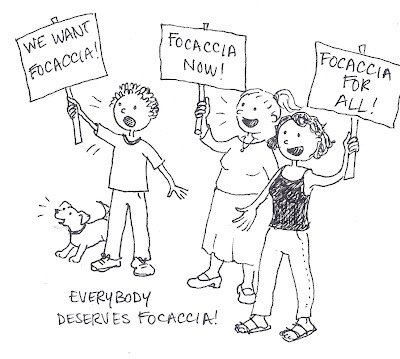 I've never heard of focaccia before, but when I saw the picture I had to just read the rest of the post. Thanks for the tip! I'm going to go have a look at the recipe right now. Poor Dottie — too polite to demand her rightful place on the sofa, and too big to comfortably steal someone else's place. Haha aww! That is an adorable photo! We have two dogs - A tiny patterdale-terrier, and a huuge newfoundland! The other day, we caught the newfie (lulu) trying to squish into little Flo's bed! So funny!